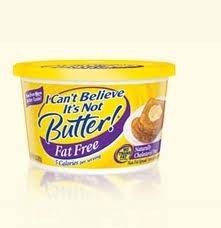 When will This Low Fat Madness Go Away?! The low fat mania that Americans have been following for 30 years has led us to the horrible health most Americans suffer from; heart disease, diabetes, obesity…and their are still many advocates of this way of eating..including our government! Michelle Obama’s new Food Plate advocates a diet far too low in fat and protein. When we keep telling people to eat more fruits and veggies we are effectively telling them to keep eat carbs- fruits and veggies are 95% carbs! I plugged in my almost perfect nutrition into both the GOV Nutrition Site that follow Michelle Obama’s recommendations and the FIRST thing it advised me to do is to contact a health professional to help me learn how to gain weight! In spite of Baptist Hospitals review and testing of my health 2 years ago that showed me to be in PERFECT health; absolutely no plague in my arteries (unheard of for most people above the age of 5 in our country), perfect LDL/HDL ratio, no nutrition deficits, no joint calcifications or issues, perfect bone density. And needless to say I do not WANT to gain weight! I have been the same size since I was 16 years old and want to stay that way! Can we really have gotten to the point that small/thin people are seen as abnormal, a condition to be fixed? I’m not talking about thin from a disorder or illness, I’m think because I always have been, am active, great genes…I come from a thin family. AND I do not eat most of my calories from carbs, like most Americans. Carbs, not fat, make you fat. Fat is dense in nutrients you need and makes every biological function in your body happen. You eat too much food because you never feel satisfied. Your body tells you to keep eating because you are not getting the nutrients you need. Brain activity and function depend on saturated fats, so does your immune system. The depth of nutrients in it are profound, thus they truly make you feel more satisfied. Because you are. Butter, coconut oils, proteins all satiate us because they are so dense in what we need. Add high quality, grass fed meats, eggs, and plenty of low glycemic veggies, heavy on green leafy ones…and you have a perfect diet, and lose weight safely…and quickly.